Have you heard the buzz about the exciting collaboration between the Basq Skin Care line and Disney? Want to win a free set for yourself? In addition to many other products, Basq carries a wonderful line they call the “It’s a Small World” collection. The Basq company was very generous to send me some samples to try so that I could give you my honest opinion. Since then, I have already bought another set for myself, one to give away to one of you, and one for my beautiful niece, who happens to be expecting a baby in August. Can you tell I am in love?! These products are fantastic for expectant mothers and babies, but they also have qualities that any woman can enjoy in any season of her life. Here are my top 3 reasons why you may want to give the “It’s a Small World” collection a try! 1. These products are sensitivity and allergy tested! Some people are allergic to even the purest foods and products, but it is good to know that the Basq line is clinically tested if you tend to be sensitive. Not just the “It’s a Small World” line – but all Basq products – are Paraben-free, Phthalate-free, SLS Free and not tested on animals. Basq really has a passion for bringing you skin care that is safe, nurturing and of the highest quality. Having tried the products for myself – I can tell you this passion really shows! The scent of the “It’s a Small World’ line is extremely light – and gentle enough even for a baby’s delicate senses. It’s perfect for every day use and, in my opinion, would not compete with other scents you may want to wear if you are in the mood for layering fragrances. 2. Everyone can use a little luxury at a price that won’t break the bank. This line is classified as a luxury skin care collection, but surprisingly, it doesn’t have the exorbitant cost one might expect. Basq is sold online and in fine maternity and baby boutiques across the country, including Saks.com, A Pea in the Pod and Destination Maternity, and even outside the US in various international locations. When money is no object and luxury is key – celebrities like Heidi Klum, Christy Turlington, Marcia Cross, Sheryl Crow (and more!) are using this line to keep their head to toe glow. Hey, if it’s good enough for Heidi, it’s good enough for me! Here’s more exciting news! Right now you can save an additional 35% on your Basq Skin Care “It’s a Small World Collection” just by typing in DISNEYWAYS at check out! Basq just made it even more affordable to add a little pampering and luxury to our day. Not just for the rich and famous, this is a line that all of us can enjoy! The packaging of the “It’s a Small World” Collection displays the original colorful and playful artistry of Mary Blair. Most Disney fans will recognize her name and association with the mid-century artwork created for the classic Small World attraction that we all know and love. Mary Blair was one of Walt Disney’s favorite artists. Walt personally responded to her use of color and the storytelling aspect of her art, but especially to the underlying emotion it encompassed. Iconic Disney animated films from 1943 to 1953 – such as The Three Caballeros, Cinderella, Alice in Wonderland, and Peter Pan all had the Mary Blair touch. You can also see her work in large-scale theme park murals such as the one you can find to this day at Walt Disney World’s Contemporary resort located here in my home town of Orlando! Owning these beautiful products is like keeping a little piece of the Disney magic right in your vanity drawer. So there you have it, my top 3 reasons why I think you will love Basq Skin Care – no matter what season of life you are in. Click HERE to try it for yourself – and be sure to enter DISNEYWAYS at check out for your 35% off discount! I wanted you to be there with me when I opened the products for the first time – so I asked my 17 year-old “baby” to film this video. 🙂 Obviously I am a nervous wreck on camera and this is not my best work, but hopefully you can pick up my honest reaction to everything, and feel a little more confident if you decide to give them a try. Have a magical day! If you are reading this post before June 15, 2014 you can click HERE find out how you can enter to win your own set of Basq skin care for free! Follow along with my niece, Tanya, as she writes about her pregnancy at Florida Hospital’s 40 weeks with me! I am nothing special though, I think he makes most everyone feel that way. Many of us recognize Jim Korkis as an internationally respected Disney Historian who has written hundreds of articles about all things Disney for over three decades. He is also an award-winning teacher, a professional actor and magician, and the author of several books. For those interested in reading more about Jim Korkis’ “Vault of Walt: Volume 2”, including an excerpt from the book, please click HERE. Where can you see a model built by Walt himself inside Disney World? How Walt’s housekeeper died a millionairess…. You can catch Jim’s episode by visiting DisneyParksPodcast.com directly from your computer. Look for the small grey circle with the sideways white triangle inside. Click on that circle and make sure your speakers are on. The show will begin immediately. We are so very grateful to Jim for coming on the show! He was extremely generous with his time, and to our delight, this interview is only the first of two parts! Please head over to iTunes and subscribe so you can be one of the first people to hear Part 2! 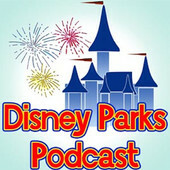 At the Disney Parks Podcast, we appreciate you, as our friends and audience of listeners. We put our best efforts forward to entertain, provide information and help you plan and get the most out of your Disney vacation…just like we would for our own family. We hope you are enjoying the podcasts as much as we are enjoying recording them for you! We have worked extra hard, and acquired some wonderful Disney celebrity interviews in the last few months. We have also brought you news sprinkled with ways to enhance your enjoyment of the Disney Parks. The work shows – and we believe this show has the potential to become one of your favorite Disney podcasts – if it’s not already! If you agree, and would like to see the podcast get recognized for it’s achievements, we hope you will honor us by nominating the show once again in 2013 for the People’s Choice Podcast Awards. It would mean SO much to us to win this award, but we can’t do it without your help, and it’s super easy for you to be a part! Beginning October 1, 2013 please go to Podcast Awards and nominate the Disney Parks Podcast for “People’s Choice” or “Best Produced“ but most importantly, please also submit us for the “TRAVEL” category . Your Verifiable E-mail Address: Make sure your e-mail address is valid. They will use special validation techniques to check the validity of the account. No verification will be sent immediately! Comments are critical so the reviewing team understands why we are deserving of being nominated to the category. It’s rare that I add a newer Disney Podcast to my library but just hearing one episode made it an easy add! The hosts are easy to listen to and have a wealth of Disney news and information!I now look forward to DPP each week in my iTunes feed! Keep ’em coming guys, you’re doing a great job! I love the information they cover on the podcast. Really provide great insight. In my family we are big Disney people so this is helpful for all of our trips! Love the new format and looking forward to the guest interviews. Great Job. Great way to keep up to date with the parks. Love the podcast! Nominations will halt at 11:59PM Eastern on October 15, 2013. To begin, just click on any of the Podcast Award banners (like the one below) or click HERE. Tune in to the Disney Parks Podcast this week to check out our picks for the 100 Disney foods and drinks you should put on your bucket list! 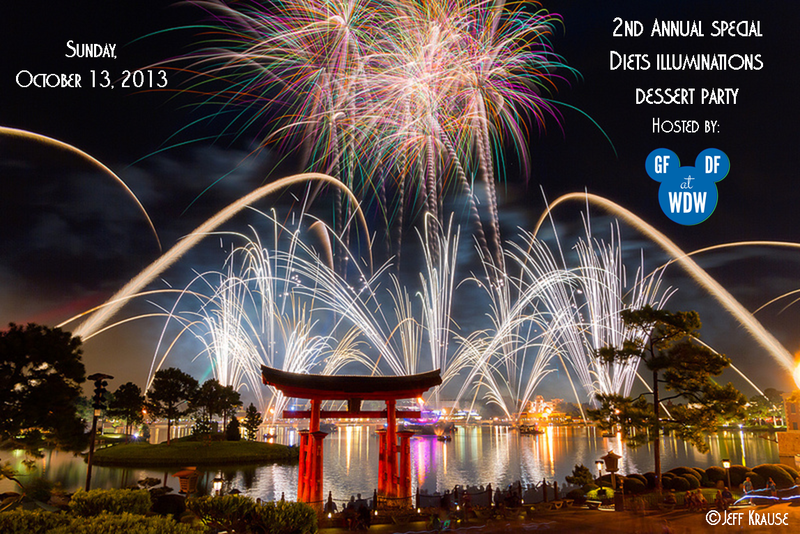 We welcome special guests Chip from Chip & Co.com and Sarah Norris of Gluten Free and Dairy Free at Walt Disney World! Click HERE to find out how YOU can win an autographed copy of Marty Sklar’s new book called Dream it! Do it! Are you still gluten free if the chicken you eat has gluten in it’s food…and what is turkey milk? Your exclusive invitation to Sarah’s fireworks dessert party – and your opportunity to punch Chip in the face! By the way – my friend Wendy has an awesome site with over 100 ACTIVITIES you should have on your Disney bucket list! You can check out her site HERE.